Mrs. Condit gives The Boys of Summer a 5 sweet pea review! 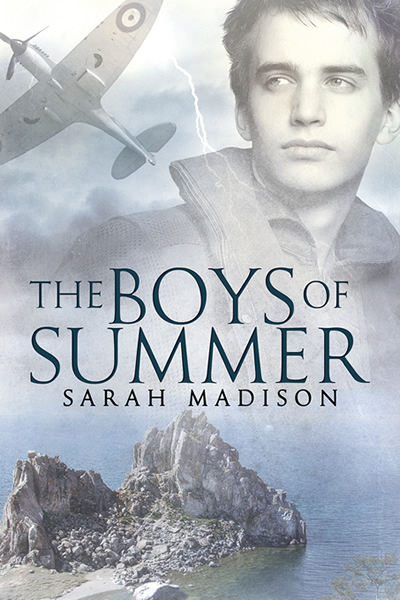 I’m headed out the door for the airport to return home to the daily grind, leaving behind the wonder and excitement that has been Galacticon 3 and Comicpalooza this weekend, but I had to stop for a moment and share this terrific review for The Boys of Summer! Josie Goodreads of Mrs. Condit Reads Books has given The Boys of Summer a glowing 5 sweet pea review! Do drop by and leave a comment to be entered into the running for a free copy! This entry was posted in Uncategorized and tagged announcements, Battlestar Galactica, contests, reviews, Sarah Madison, The Boys of Summer by Sarah Madison. Bookmark the permalink. I hope your trip went well. Welcome back to the real world. :). Love this cover. I *adore* this cover! I love Reese Dante’s work and I knew there was no one else I wanted to do this cover when the time came. Sarah Madison recently posted..Mrs. Condit gives The Boys of Summer a 5 sweet pea review!